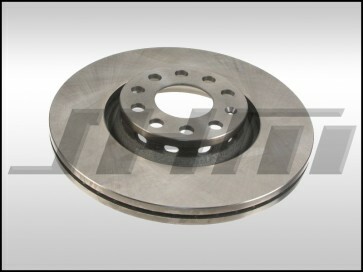 These are OE-Type Rotors made by Meyle that are a direct replacement for the front rotors on your B6-A4 3L V6. Meyle is an Original Equipment Supplier (OES) based in Germany that makes many Original Equipment parts for Audi. **Note: These are priced each. 2 per car required. Adjust quantity in your shopping cart before proceeding to checkout if you need both.